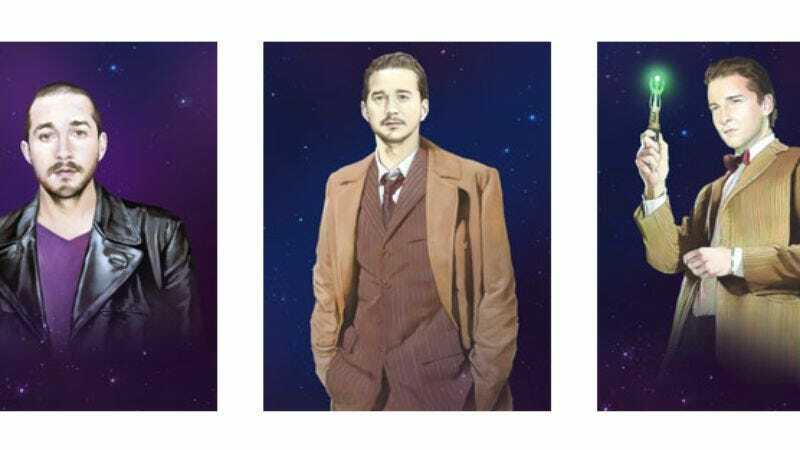 Of course the whole point of regeneration is that the Doctor changes his face each time, but the power of LaBeouf is apparently strong enough to override that Gallifreyan tradition. However, Bird does change LaBeouf’s hair, clothes, and facial expression to fairly seamlessly match each Doctor. For the discerning art collector, Bird is selling his work as individual portraits or a group poster over in his store. Plus the entire series can be examined in glorious detail on his website.